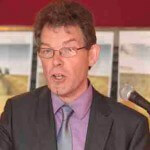 Chair of Cork Food Policy Council, Colin is Senior Lecturer in Geography at UCC where he has worked for the past 18 years and, besides teaching, he conducts research on the contemporary food system. He has particular interests in food and nutritional security and civic initiatives that work to strengthen the resilience of local food systems. He is active in European research networks in this field and has close links with a number of Italian universities to which he is regularly invited to speak. 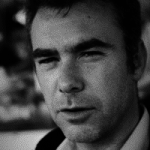 Colin is the author of Environment and Food (2012), co-editor of Food Transgressions: Making sense of contemporary food politics (2014) and ofTransdisciplinary Perspectives on Transitions to Sustainability (Ashgate, 2016). He is regularly invited to offer his thoughts on the food system on Irish radio and television programmes. Colin currently chairs the CFPC Steering Committee.  Keelin is the Administrative Coordinator of Cork Food Policy Council. She holds an honours BSc in International Development and Food Policy from U.C.C. and an honours MA in Anthropology of Food from SOAS, London. She trained in Professional Cookery at C.I.T. and until recently has been working as a chef. Her enthusiasm for food and food activism has led her to eat mice in Malawi (she wanted to learn about nutrition), to glean green beans in Essex (to be redistributed to charities), to slaughter a chicken in Uganda (she was interested in what is dubbed ‘farm to fork’), to give Battenberg cake to strangers as part of a ‘playful intervention’ at Kinsale Arts Festival (it’s what her Granny used to give her), to produce and co-present a food show for campus radio (regrettably, this was called ‘Orally Fixated’), and to work part time at a supper club (she wanted to eavesdrop and couldn’t afford to attend as a paying guest). Food growing is her current pursuit of food related knowledge, one that brings much satisfaction..
Denise is the Healthy Cities Co-coordinator in Cork City. She has worked as a researcher in the area of Public Health and has been employed in the area of health promotion for the past 12 years. 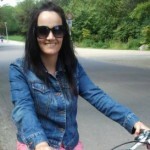 Denise has worked in the areas of Schools Health Promotion, Physical Activity and Tobacco Control. In more recent years she has developed her understanding and commitment to community health promotion and has coordinated the health profile of Cork City in support of World Health Organisation recognition of Cork as a Healthy City. Through the Healthy Cities structure Denise has developed skills to support the development of partnerships between and among the community, voluntary and statutory sectors in the area of health promotion. 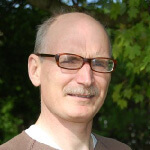 is the Development Co-ordinator of Cork Environmental Forum. In respect of current initiatives CEF, she is on the Steering Committee of the “Grow It, Cook It, Eat It” Community Food Initiative in Dunmanway which is one of 10 projects on the island of Ireland participating in the 2013-2015 programme. CEF supports growing food and community initiatives in many different ways. It held a very well attended Growing Seminar in Churchfield in April 2012 and has previously held other Seminars including one in Kinsale on Community Supported Agriculture and in Fota House. CEF added Community Gardens, as a category, to its Annual Environmental Awards in 2009. On a personal level, Bernadette, was involved on a voluntary basis with the Local Food Group under Sustainable Clonakilty for a number of years..
completed an MA in Local Government Management in the Institute of Public Administration in 2005. -Dissertation on Docklands Renewal projects. Jim has worked for Cork Corporation as a Clerical Officer 1972; Kinsale UDC as a Town Clerk in1978; Cork Corporation in various Grades to 1991. In 1991 Jim became the Cork Corporation Assistant Town Clerk and in 1999 the Waterford County Council Director of Community & Enterprise . 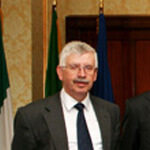 Jim returned to Cork City Council as Director of Services, Planning & Development 2001- 2005 and became Director of Services Community and Enterprise Cork City Council 2006 to 2012. Jim is currently Director of Environment and Recreation..
has have been in business in Cork for 16 years with Cafe Gusto & Liberty Grill. Marianne is very active on social media which can be used to create awareness & interest. Marianne is well connected with other restaurateurs & bar owners who operate a food business in Cork city & county. Food waste is a big issue for the food businesses & a great interest of hers. (She composts all the coffee grinds & green waste from Cafe Gusto at home each week) Marianne would like to explore the possibility of collaborating with other food businesses on food waste and has always been interested in health & land. Marianne went to agricultural college in Warwickshire UK before she settled on food business so she has a strong background knowledge on food systems..
is a manager in the Central Statistics Office in the Databank and Dissemination Division. Eoin has good data and information technology skills. As a director of the Cork Simon Community, Bia Food Bank and Food Cloud Eoin has an interest in the social and environmental issues surrounding, homelessness, poverty, social exclusion, food and food waste. Eoin trained in Permaculture Design and teaches “Get Growing” a community based vegetable growing course. Eoin coordinates mass catering events and has the relevant management of food hygiene training. Eoin is a trained alternative health therapist and teacher..
is the co-ordinator of the Knocknaheeny Hollyhill Community Garden and the Arts for Health Programme for Niche Community Health Project. 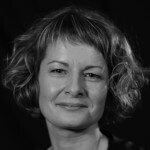 Charlotte is a visual artist with almost 30 years experience of devising, developing, facilitating and managing art projects in healthcare and community contexts in Scotland and Ireland. She was previously the Development Manager of Art in a Glasgow Hospital and Triskel’s artist-in-residence in St Finbarr’s Hospital. In addition to her current role with Niche, she also facilitates an open studio workshops for the Next Step, a charity promoting creativity for mental health. 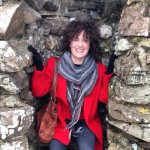 Charlotte has a vast amount of experience in public art commissions, graphic design, curating exhibitions, training and mentoring, project evaluation, development and consultancy..
is a small scale artisan food producer, bespoke caterer and committee member of the Midleton Farmers Market Society. His main interests are furthering the understanding of food choice, the democratisation of food and the policy that shape these areas. Having completed a degree in Social Science at UCC, he is currently perusing a Masters in Epidemiology and working part time in the HRB Centre for Health and Diet Research..
is a graduate of UCC holding a BSc in Food Technology, a Diploma in Management and a Diploma in Quality Management. Since graduating Lucille has worked in Sales and in various roles across the Food Manufacturing , Distribution and Retail sector. 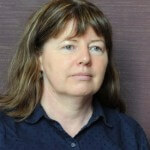 Currently Lucille is the Food Safety & Quality Development Co-ordinator for Musgrave Retail Partners Ireland. As part of this role she takes part in discussion and working groups at governmental level that help shape future legislation and reduce the burden of implementation of current legislation. Lucille provides guidance on Food Safety and Quality to artisan and small producers that take part in the Food Academy programme which is jointly sponsored by SuperValu, Bord Bia and the Local Enterprise Office. Lucille is passionate about community involvement and is involved at a local level in clubs and associations in her own community. 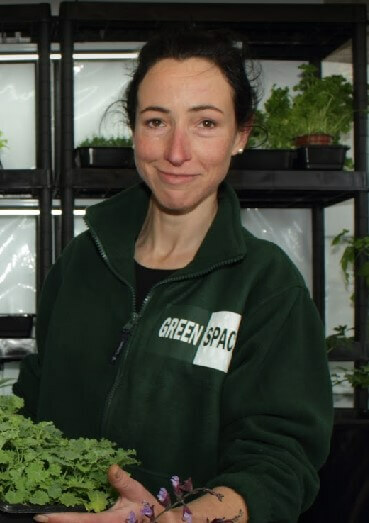 is the founder of Green Space, an urban agriculture enterprise in Cork. Her career has always involved food and plants. She managed restaurants, gardens, and whole food retail stores in the UK while studying nutrition and medicinal herbs. Growing up, she was always at her mother’s feet as she tended the vegetable garden. This nurtured Ellie’s belief that food can be grown sustainably by everyone. Ellie is qualified in Applied Social Studies, Computer Aided Design and Training & Development and has completed Project Management training and the Exxcel STEM programme at the Rubicon Centre, CIT. 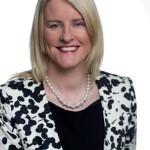 She actively networks within the food industry by attending training events and workshops with Bord Bia, Taste Cork and the Local Enterprise Office. A compulsive plant propagator, Ellie believes healthy food can be grown anywhere and everywhere with a low environmental impact. Green Space received funding from Cork City Local Enterprise Office and is a member of Cork Environmental Forum and The Northside for Business initiative. is a horticulturist, living in Cork, but currently working with a fruit grower in Dublin. Ian has worked in nurseries, garden centres and private gardens. However, with a degree focusing on the production and use of herbal plants and a masters in Organic Horticulture, his current interest is in sustainable, low-input, food and herb production. Ian is passionate about urban food production and believes it has the potential to regenerate areas of our city, while also informing people where their food comes from. Ian decided to focus on a career in horticulture having worked in manufacturing and IT in the early stage of his career. Ian can see the benefits of his career/lifestyle on himself and would love to help to encourage others to engage. grew up on a dairy farm in Co Cavan and is the youngest of 5 children. She moved to Cork in 1982 to study Art at the Crawford and have lived here ever since. Brenda is a mother of 5 boys, is working in Mayfield Community Training Centre teaching Art, and has been involved in numerous youth and community projects over the years. She is a member of Voices of Cork Community Choir and currently volunteers with a local Youth Café. Brenda is passionate about people having access to the arts without money being a barrier. Brenda’s interest in the Grow Cork project comes from her farm life background and she would like to see people – particularly young people-have the opportunity to learn the skills of growing their own food. She believe these skills, along with access to the arts, will stand to them practically, physically and mentally. Brenda’s back garden that is home to a variety of young fruit trees and bushes, a few salad ingredients, herbs and 5 hens and she describes this as her happy place.